The Equilibrium Therapy Magnetic Back and Quarter Pad is designed to promote circulation to help relieve stiffness, muscle soreness and increase the rate of healing in horses’ backs. Recommended for use as part of a back maintenance programme. Contains 4 powerful VITAflex® magnets. Removable magnets stick easily to any part of the inner lining. 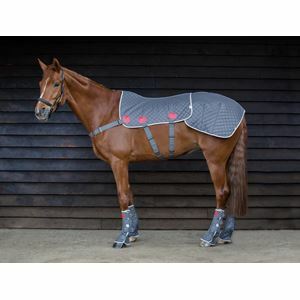 Perfect for horses who are stiff, who suffer with a cold back or those in high levels of work. Effective, easy to use & comes with a modern & practical sports holdall. 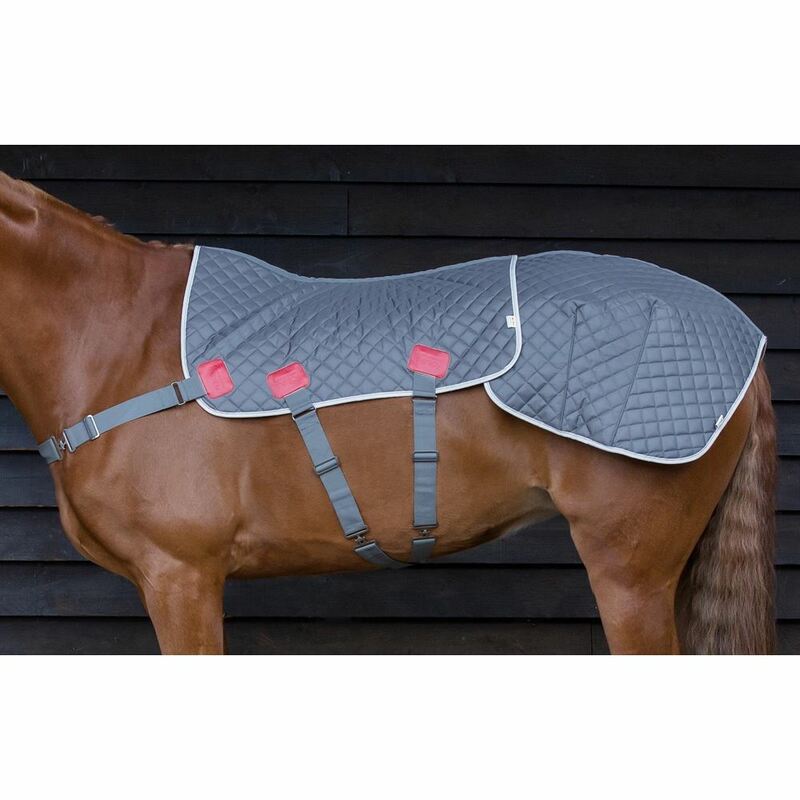 New longer length with removable quarters pad – fits a wide range of horses and ponies. Can be worn overnight or during the day in the stable. Combined use of the Magnetic Back Pad overnight and the Equilibrium Back Massage Pad once a day can help to maintain a healthy back.